Coates had set out to prove what was already a strong intuition from his previous life: Before he became a world-class neuroscientist, Coates ran a derivatives desk in New York. As a successful trader on Wall Street, “the hour between dog and wolf” was the moment traders transformed-they would become revved up, exuberant risk takers, when flying high, or tentative, risk-averse creatures, when cowering from their losses. Coates understood instinctively that these dispositions were driven by body chemistry-and then he proved it. 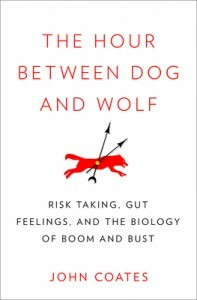 The Hour Between Dog and Wolf expands on Coates’s own research to offer lessons from the entire exploding new field-the biology of risk. Risk concentrates the mind-and the body-like nothing else, altering our physiology in ways that have profound and lasting effects. What’s more, biology shifts investors’ risk preferences across the business cycle and can precipitate great change in the marketplace. Though Coates’s research concentrates on traders, his conclusions shed light on all types of high-pressure decision making-from the sports field to the battlefield. The Hour Between Dog and Wolfleaves us with a powerful recognition: To handle risk in a “highly evolved” way isn’t a matter of mind over body; it’s a matter of mind and body working together. We all have it in us to be transformed from dog into wolf; the only question is whether we can understand the causes and the consequences. 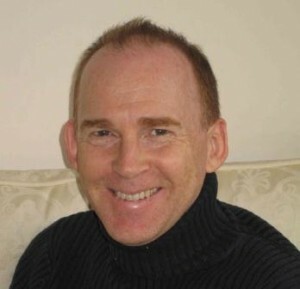 John Coates is a senior research fellow in neuroscience and finance at the University of Cambridge. He previously worked for Goldman Sachs and ran a trading desk for Deutsche Bank in New York. In 2004 he returned to Cambridge to research the biology of financial risk taking.